CARBONDALE, Ill. — How can you resist the ultimate feel-good musical? 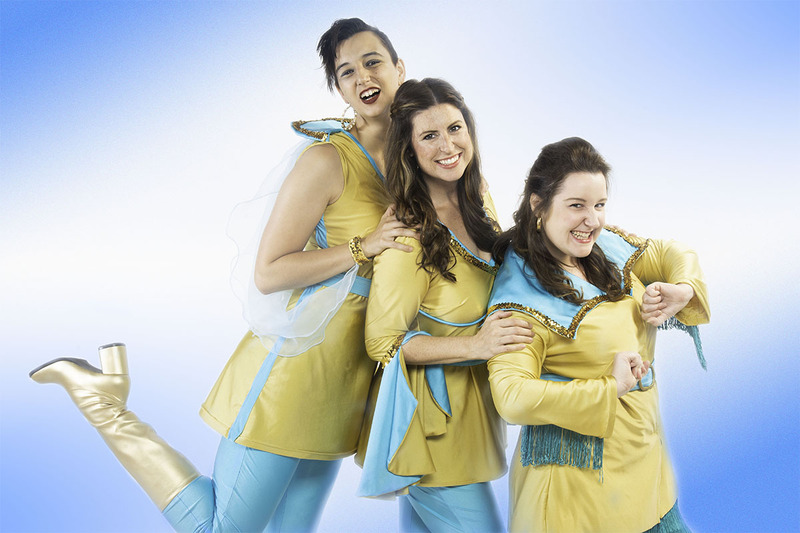 Enjoy an unforgettable trip down the wedding aisle as McLeod Summer Playhouse presents “Mamma Mia!” July 6-15 at Southern Illinois University Carbondale. A mother. A daughter. A wedding. Three possible dads. ABBA's hits tell the hilarious story of a young woman's search for her birth father as it unfolds on a Greek island paradise the day before her wedding. The story-telling magic of ABBA's timeless songs propels this enchanting tale of love, laughter and friendship. Get ready to dance in the aisles and sing along with all your favorite songs! “Mamma Mia!” is not only one of the longest-running musicals on Broadway and in London’s West End, but it continues to be an international sensation, having played in over sixty countries and translated into twenty languages. McLeod Summer Playhouse is thrilled to offer the region its chance to discover why. “‘Mamma Mia!’ is the perfect summer musical theater experience, and thanks to the infectious music of ABBA and an incredible professional cast, this promises to be one of the most anticipated and exciting productions in MSP history,” said J. Thomas Kidd, Managing Artistic Director of McLeod Summer Playhouse. “The play is set on an idyllic Greek island over a wedding weekend, and delightfully combines elements of classic Greek tragedy and comedy. Tickets are selling fast for several performances at SIU’s McLeod Theater. 7:30 p.m. on July 6, 7, 13 and 14. 2 p.m. on July 8 and 15. General admission tickets: $30 adults, $14 children and SIU students. In person at SIU Arena (8:30 a.m.-4:30 p.m.) or McLeod Theater box office (noon-4:30 p.m.) Monday through Friday when the university is in session. By mail: SIU Ticket Office, Lingle Hall - Mail Code 6620, 1490 Douglas Drive, Carbondale, IL, 62901. “Mamma Mia” — July 6-8 and 13-15. “The Jungle Book” — select Wednesday and Saturdays through July 15. “Once Upon a Mattress” (All Southern High School Theatre Project) — July 26-29. Find the complete schedule and additional details or purchase tickets online at events.siu.edu. Or, call 877/725-8547 for more information.